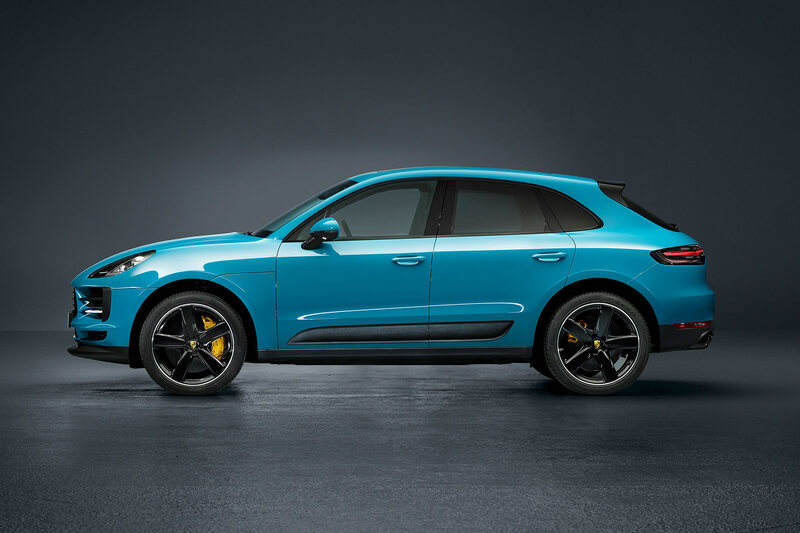 Following an official unveiling at the Shanghai Motor Show in July, the 2018 Paris Motor Show is the first chance for European buyers to see the facelifted Porsche Macan. If you expected dramatic surprises outside, you might be disappointed. This is a subtle exterior nip and tuck, with the biggest change happening at the back. The new three-piece LED light strip across the rear hatch is meant to embody classic ‘Porsche design DNA’. It gives a distinct signature at night, and is matched with new LED headlights at the front. Beyond the lighting, you’ll need to really know your Macans to spot the revised front bumper. New classic Porsche colours such as Miami Blue, Mamba Green and Crayon might be more recognisable. Although subtle outside changes were predictable, a revolution beneath the bonnet was thought to be on the cards. Porsche has recently made a show of the decision to abandon diesel power for good. 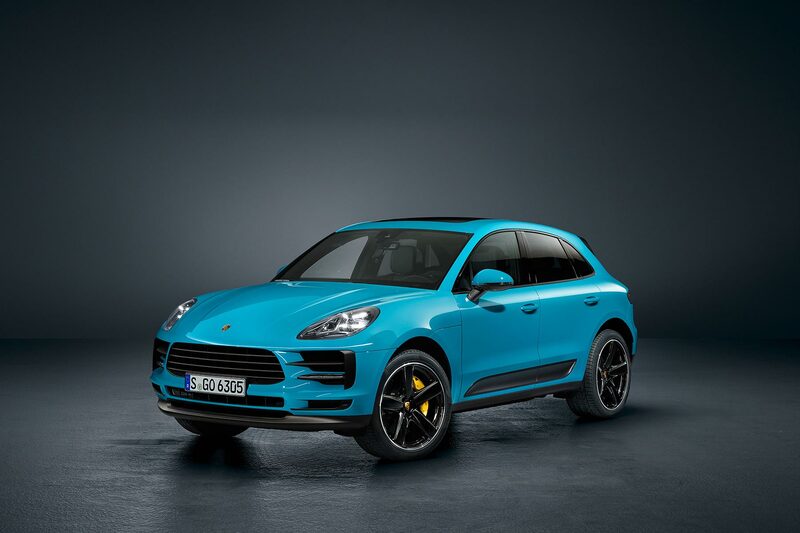 With the larger Cayenne SUV offered with a hybrid powertrain, along with the Panamera, the junior Macan seemed ripe for hybridisation. Instead, the revised Macan simply features a 2.0-litre four-cylinder turbocharged petrol engine, similar to that in the Volkswagen Golf GTI. A gasoline particulate filter is part of the revisions, along with other tweaks to improve efficiency. Tellingly, power output has dropped from 252hp to 245hp. Despite the small power reduction, 0-62mph takes the same 6.7 seconds as before. 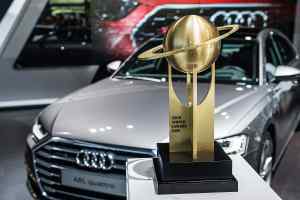 Four-wheel-drive is standard, as is a seven-speed PDK dual-clutch gearbox. At least for now, that’s it on the engine front: just a 2.0-litre turbo petrol – no V6 petrol, no plug-ins and certainly no diesels. Is it a sign of the times? Inside, the big story is the enlargement of the HD multimedia touchscreen to a substantial 10.9-inches. The Porsche Communication Management system allows for easy connectivity with smartphones, whilst the ability to create a WLAN hotspot is standard. A cloud-connected navigation system allows for real-time traffic updates to be taken into account, whilst those drivers who venture off-road can record their exploits with a dedicated app. 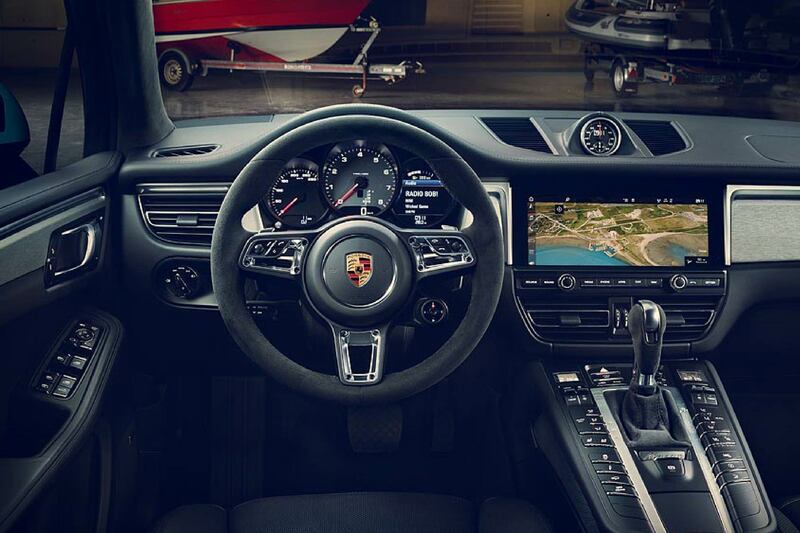 Drivers who want to feel like they are in a 911 can now specify an optional GT sports steering wheel. 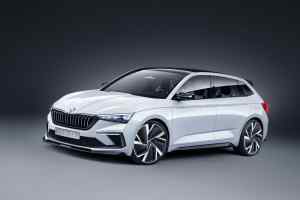 The design of it is influenced by the iconic Porsche sports car, and can feature a button to engage Sport mode, providing you tick all the relevant boxes. An air ioniser, with a dedicated cabin air filter, is another addition to the lengthy options list. 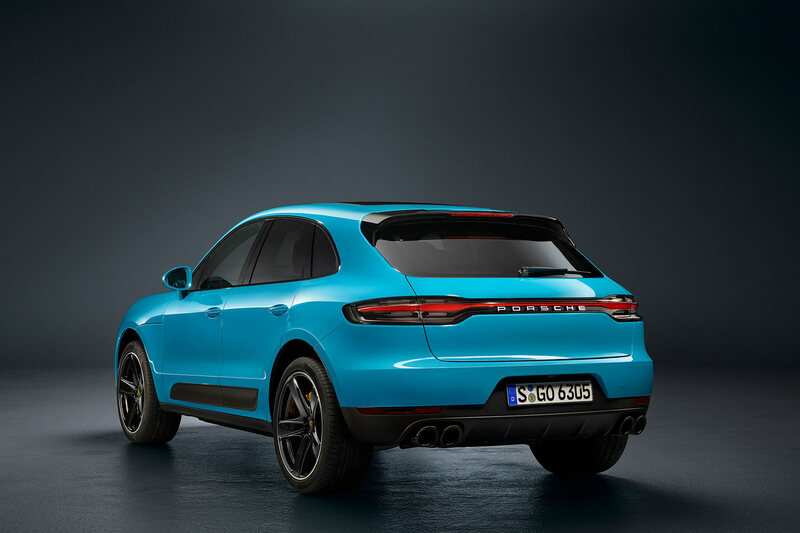 Whilst it might be easy to still treat the idea of a Porsche SUV with a modicum of contempt, the Macan and larger Cayenne are credited with the financial success of the German firm. Building cars like the Macan, means projects like the crazy retro 935 creation announced last week, can happen. Zuffenhausen sold some 97,000 Macans last year, making it the best-selling Porsche model. In fact, more than one in three Porsches sold in 2017 was a Macan. That underscores how important the compact SUV is to the firm, and to allowing for wild 911 versions to exist. New Macans are already rolling off the production line, with the first cars heading to the important Chinese market. UK buyers can place orders right now, with a starting price of £46,344 – an increase of less than £500 compared to the current car.